This year, we're saying it's time to fix the crisis in education. Children need teachers who are free to teach, not bogged down with admin. You need to be a member to be part of 2018's collective agreement. We're calling time on low pay and teacher shortages. Members are asking for more staff and support in our schools, a decent jolt in our pay and the opportunity to develop our careers. Don't miss out on your chance to be a part of it. Join NZEI Te Riu Roa - it only takes a few minutes, and you can become a member for as little as $2.33 per week. ... if every staff member had the time and resources to teach, lead, and grow in the profession. 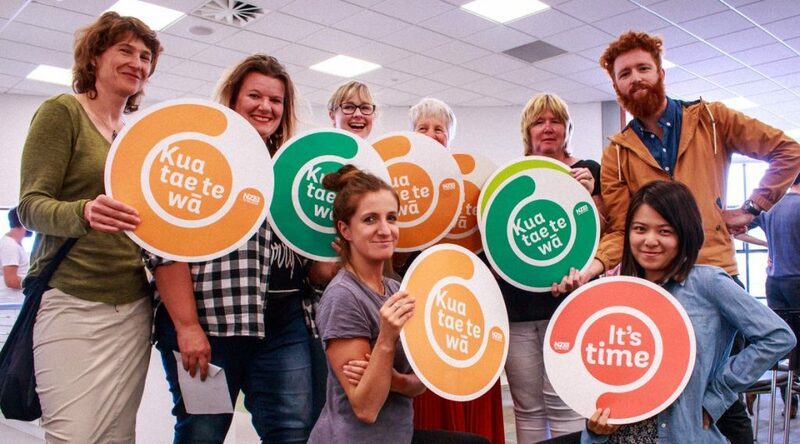 NZEI Te Riu Roa's members have identified some of the things that can make lasting, positive change for New Zealand's schools. Significant pay increases for teachers and principals over the course of the agreement. We're asking for a 16% pay rise over the two years of this agreement. Teachers and principals are facing immense pressure thanks to enormous workloads and more responsibilities without any additional staffing or time. There aren't enough resources available for supporting children with additional learning needs. Significant increases to staffing available to all schools to support leaders, classroom teachers and teachers with admin tasks, children with additional needs, and assessment. Since the beginning of this year more than 2,000 new members have stood up alongside their colleagues. Join NZEI Te Riu Roa online.